With a good run behind Spurs, with only the loss to Fulham hiccupping the way the team have been playing, the meeting with Everton will be a tough match. As ever, Everton will put in a lot of effort and try to get at Spurs on the break, but a clutch of injuries might hamper their plans at the Lane. Having won on their last two visits after failing to do so for many years, they face Tottenham, who are enjoying a good home run. Also, they had the ability to rest some players in midweek and while the Toffees were without a match, the continuation of the good sequence of results (and another clean sheet) will boost the team's confidence. Tim Howard is a good shot stopper and an athletic keeper, but he sometimes finds himself out of position, meaning that good crossing into the area could drag him from the place where he should be. He will need the solid Everton back line to protect him with Phil Neville's experience and determination added to Joleon Leescott's height, alongside the doggedness of Jagielka and Yobo's pace bringing a good mix of skills to set up to keep Tottenham out. The left back signed from Wigan Athletic, Leighton Baines, who has missed much of the time since joining on the injury list, might feature and will look to get forward, as Neville does on the opposite flank. The midfield contains a player who I admire, in the shape of Mikael Arteta. A fine, skilful player, who is very good from set-pieces, although he does go down a little easily. Aussie Tim Cahill often lets himself down by going in without due regard to the strength of his challenge, so his dynamic midfield performances are often noted more for the cards he picks up, while Leon Osman is a similar player, but one who is less prone to rash tackle. New signing Marouane Fellaini came from Standard Liege after starring against Everton in the UEFA Cup has picked up the pace of the Premier League quickly and his height and strength have given him a reputation of being good from dead ball situations, with his headed goals being notable. Up front, the attack is stripped of a number of players who are injured, so we may face Yakubu and Jack Rodwell, an up and coming striker who has come up through the ranks at Goodison Park. The former Portsmouth and Boro striker from Nigeria will be well known to most Spurs players and certainly to Harry Redknapp, who took him to Fratton Park. Outside of these names, the squad might be patched up with young players, who have come through the youth system at Everton, who have had a good reputation in the FA Youth Cup and have produced a number of big stars. As for Spurs, they need to work the ball to Lennon, who is on fire at the moment, while also making sure that the midfielders work hard to track back, as Everton will make sure the middle four move up and back as a unit. Everton kicked off and Spurs played towards the Park Lane end in the first half. A display that took fans back a few months left Everton with the three points, courtesy of a deflected drive that was the only thing to separate the two sides, other than Tottenham's slow approach to the game. Lacking the involvement of Aaron Lennon, made difficult by Everton's doubling up on him, this should have left space for others to make use of, but every time Spurs did create shooting chances, they generally failed to hit the target and test Tim Howard. 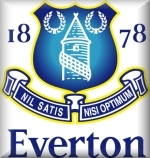 In truth, Everton were not much better than Spurs and turned over possession as often in the early stages, but with a five man midfield, David Moyes made it hard to break through and with Tom Huddlestone having a game where he failed to impose his passing ability and lacked movement from team-mates to have a target to find with them, Tottenham came up short and remain just out of the relegation places. Shots from Lennon, Bent, Huddlestone, Pavlyuchenko, Bale and Bentley all missed the goal and too often, set-pieces failed to find the intended white-shirted player or to result in an effort on goal. It must have been hard to take for Heurelho Gomes, as he played very well, making some good saves, but the one that beat him taking a wicked deflection off Corluka leaving the keeper helpless to stop it. Everton started brightly, with some moves ending up in the Spurs penalty area, but Huddlestone had the first shot after Woodgate found him on the right side of the box, although Tom could only drag his shot weakly across goal. Everton had to reshuffle, when Yakubu (who Harry had been talking up all week) had to leave the field after going down in a heap when trying to muscle Ledley King off the ball, using his arms. It is hard to have sympathy with one player who gets injured trying to flout the rules, but he looked to have something serious and you wouldn't wish that on anyone. Despite the criticism heaped on him recently, Gomes' decision making was good today and his rush from goal to get to a through pass saw him pat the ball away from Osman as he went into the area. Benoit Assou-Ekotto got booked for his first foul ,which admittedly was studs up and a little high, but Steve Bennett's refereeing left a lot to be desired in terms of consistency, with Arteta, Osman and Pienaar committing a series of fouls without being shown a card. But more to come of his work later. Gomes had to come through two Everton players and two Spurs defenders to palm away a dangerous cross and then made a double save as Fellaini hit a 30-yarder that the keeper pushed high into the sky and when it came down, it fell for the Belgian midfielder again and this time he hit it low and Gomes managed to get his body behind the ball to stop the shot. In between the Brazilian's involvements in the game, Zokora's speedy burst through the middle of the pitch gave Aaron Lennon a shooting chance, as he slipped the ball to him just inside the right side of the area. The moment got to the winger, who fired powerfully, but way over the bar. Then, a pacy free-kick from Bentley caused concern, with Jagielka getting a flick on the ball and taking it just wide for a corner. Assou-Ekotto was getting more balls into the box from the left than Bentley and one, which was played into Bent on the right side of the D saw the striker side-foot a shot with little power to leave Howard with a straightforward save. The final action of the half was at the Tottenham end, when Ledley King got underneath a Cahill cross and Saha ghosted in behind him to head at goal. The ball was headed down, but luckily straight at Gomes, who took it gratefully. The temperature dropped as the teams came out for the second half, but a piece of dogged play by Pavlyuchenko kept the ball alive as he moved across the face of the Everton penalty area and nudged the ball wide to the left, where Assou-Ekotto hit it first time, but it was always rising over the crossbar. While Bennett had been letting things go, he seemed to decide that the opposite would be the case for Tottenham and punished a minor coming together of Lennon on Pienaar, while having just let Lescott's pull on Huddlestone's shirt in the box from a free-kick go un-noticed. There was s similar baulk on Hud in the pre-amble to the free-kick that was no different in content or intent. While every free-kick up until now had been meticulously over-seen by the ref, this time, he let Arteta push it forward a few yards to Pienaar on the left side of the area and his low shot came off Corluka's leg and take it into the other side of the goal it was intended for. It was a blow and although the Toffees had been attacking, their was little threat of a deadly finish. Spurs came back with a free-kick routine on the East Stand side, where Bentley pulled the ball back on the ground to Roman, but he could not keep his shot down and it found the upper tier of the Paxton. Pineaar tested Gomes again on the hour, but the keeper dived low to keep the ball out, before Spurs made a coupe of tactical substitutions and Everton had to sub their sub, with Saha going down with nobody around him and being carried off to be replaced by the more muscular Anichebe. With 18 minutes left on the clock, Bentley's switch to the right produced a low cross into the near post and Pavlyuchenko got in ahead of Jagielka, but could not get his shot past Howard, who made a very good save. Gomes had to rush out at Pienaar's feet to thwart his run into the area and then the Russian striker was again on target, but his shot was blocked away for a corner. Shortly afterwards, Howard came for a ball, when Gareth Bale's shot was half-blocked and went high into the air, but he failed to gather, but the luck was on the Blues side, as their defenders managed to scramble the ball clear. As Tottenham pressed for the equaliser, it was likely that Everton would use Anichebe and the supporting midfielders to break on them and the substitute forward should have done better when put away by Felliani in the last minute of normal time. With the time-wasting by Everton and injuries to their players, there was six minutes of time to be played for stoppages and it was Spurs who used it to their advantage, but apart form Pavlyuchenko's weak volley straight at Howard there was no decent effort on goal. Even when Campbell was picked out on the right of the box with Bale's fine pass in the last minute, he opted to lob a hopeful ball to the far post where Howard collected, rather than try a shot to beat the keeper at his near post or to blast it low across the face of goal. So, another home defeat that was brought about by some lethargic build-up play and the obvious influence of the absence of Jermaine Jenas and Luka Modric. Hopefully, they might be back for our next league game at West Ham, which sees us play the team just above us in the table. It might be another crunch game, but it seems that many of them are these days. The failure of Spurs to breakdown Everton may be taken up by other visiting teams who come to White Hart Lane. The long ball game to two hulking central defenders was lacking in imagination and Spurs showed that they missed the fine prompting of Luka Modric. The little Croatian will be welcomed back to add a new dimension to the side's game, with the forwards lacking adequate movement to give the midfielders some options in delivering the ball. Spurs also lacked the regularity of hitting the ball in from the dead-ball line rather than from 20 yards back, which made the crosses easier for Everton to deal with. Allowing Lennon to be shut out and then shifting him onto his "wrong" wing helped the Toffees achieve their game plan. I am afraid that David Bentley is either trying to impress too much or is woefully lacking any consistent form. He hit a couple of good crosses, but on the whole hit the first man or didn't look when crossing, meaning the ball hit the man marking him, who was less than a couple of yards away. Modric in for Bentley and the hard running of Jenas in to replace Zokora might be the best changes for the West Ham game, but I imagine the side fielded for the Watford match will be much more like that which beat NEC Nijmegen. Hopefully with the same result.